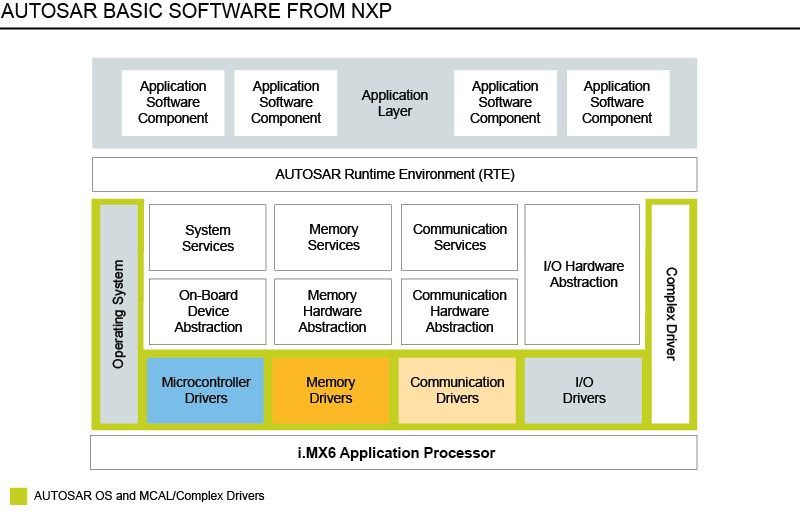 The NXP® SABRE for automotive infotainment enables automotive AVB development with hardware and Ethernet software solutions. 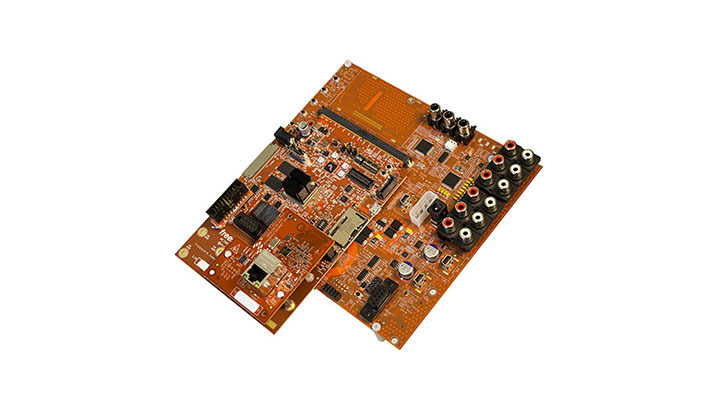 The SABRE board for smart devices features quad-core processing, low-power consumption and multimedia and graphics applications on the i.MX 6Quad processor. BD-SL-i.MX6 is a low cost development system for the i.MX6 processor. The board features a wide variety of connectivity options as well as multiple operating systems including JellyBean Android, TimeSys Linux, WinCE7, and QNX. UDOO(TM) is an open hardware, low-cost computer equipped with an ARM(R) i.MX6 NXP (TM) processor for Android and Linux, alongside an Arduino (TM) Due ARM SAM3X. Both CPUs are integrated on the same board. High Reliable Boot, Encryption Engine, Random Number Generator, and Tamper Detection; Integrated 1x Industrial Gigabyte Ethernet MAC(10/100/1000MHz); Integrated 2x CAN, up to 1Mbps, support CAN 2.0 Protocol; Extended 3x serial interface, HDMI interface, LVDS display interface; Complete Compatible with Linux and Android embedded OS. i.MX6 SODIMM development board of 100mmx72 mm Pico ITX form-factor incorporates i.MX6 SODIMM SOM Which is based on NXP’s high performance i.MX6 Quad ARM Cortex A9 processor and the carrier board with optional 4.3” resistive display kit. SOM-SM9300 is a small form-factor and high-effect embedded computer on module that comes in both quad core, dual core and solo core versions based on NXP/i.MX6Q , I.MX6D and I.MX6S. It applies a wide range of industrial applications. Development board for i.MX 6Quad built to NXP's SABRE Lite design includes one board, one 5V power adapter, one customized serial cable, one cross serial cable (DB9-DB9), one USB cable, etc. Set of applications for the Linux L3.14.28_1.0.0 BSP, designed to be used by graphics application developers to rapidly develop and port graphics applications. Includes applications, GPU Driver with vprofiler enabled and documentation. Set of applications for the Linux L3.10.53_1.1.0 BSP, designed to be used by graphics application developers to rapidly develop and port graphics applications. Includes applications, GPU Driver with vprofiler enabled and documentation. Tool and documentation for downloading OS images to the i.MX 6 Family using the L3.10.17_1.0.0 BSP. Set of desktop applications for the Linux L3.10.53-1.1.0-GA-5.0.11P4 BSP, designed to be used by graphics application developers to rapidly develop and port graphics applications. Includes desktop applications. Refer to i.MX_6_Graphics_User's_Guide_review.pdf for documentation. Set of applications for the Linux L3.10.17_1.0.0 BSP, designed to be used by graphics application developers to rapidly develop and port graphics applications. Includes applications, GPU Driver with vprofiler enabled and documentation. Set of applications for the Linux L3.0.35_4.1.0 BSP, designed to be used by graphics application developers to rapidly develop and port graphics applications. Includes applications, GPU Driver with vprofiler enabled and documentation. This package contains binary of NXP® GPU demo-framework 2.3 SDK source and tools to generate and build demo frame work applications. This package contains binary of NXP® GPU demo-framework 2.2 SDK source and tools to generate and build demo frame work applications. Hugely popular Browsermark is a benchmark tool designed to measure browser performance of mobile and embedded devices. GENIVI compliant optimized middleware layer featuring hi-perf audio & video libs & sys services. Audio mgmt, processing, integration & opt. Video capturing, graphics opt & integration. Combine with XSe SuperBSP for a complete automotive SW ref pltfm. SnapUI is a lightweight user interface customisation tool designed to simplify the Linux and Windows CE user interface design process. Android Reference BSP for the Boundary Devices Nitrogen 6X development kit based on the i.MX 6. Contact sales@adeneo-embeddded.com for more information. Linux reference BSP for Congatec QMX6 module based on the i.MX 6. Contact sales@adeneo-embedded.com for more information. Windows Embedded Compact 7 Reference BSP for i.MX 6, with support for SABRE SDB dev. kits. Includes advanced features such as optimized GPU graphical acceleration driver, wireless connectivity, NDIS6 ethernet, and multi display support. Windows Embedded Compact 7 reference BSP for i.MX6, with support for SABRE LITE development kits. Includes advanced features such as optimized GPU graphical acceleration driver, wireless connectivity, NDIS6 ethernet, and multi-display support. Windows Embedded Compact 7 Reference BSP for Boundary Devices Nitrogen 6X development kit based on the i.MX 6. Contact sales@adeneo-embedded.com for more information. Windows Embedded Compact 7 Reference BSP for Congatec QMX6 module based on the i.MX 6. Contact sales@adeneo-embedded.com for more information. 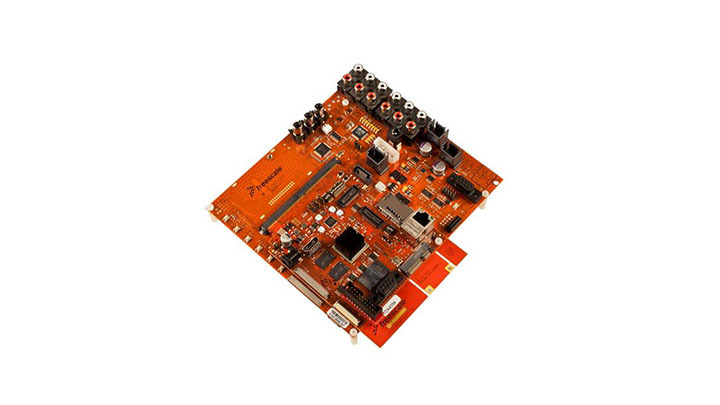 The GuruCE iMX6 BSP is a high quality, well structured, stable, full source BSP for WEC7 and WEC2013 supporting any board containing a NXP i.MX6 Solo, Dual-Lite, Dual or Quad processor. Embedded Linux Reference BSP for Boundary Devices Nitrogen 6X development kit based on the i.MX 6. Contact sales@adeneo-embedded.com for more information. GENIVI compliant Yocto based Linux platform for IVI software development of graphics, multimedia, audio, networking, security & more. Highly optimized XSe SuperBSP has customized boot-loaders, kernel components, & achieves ultra-fast boot times. The SYS-A62-10 is a 10.1” Panel PC based on the Multicore NXP i.MX6 SoC family. It features a long-endurance display (30K hours) with 1280 (RGB) X 800 resolution, along with P-Cap (Projected-Capacitive touch) technology and glass cover. The Nitrogen6X is a production ready i.MX6-based single board computer that can also be used for development purposes. The design allows customers to easily embed the Nitrogen6X into an enclosure and get to market quickly. The DuraDBH-672 Digital Beachhead is a rugged COTS Gigabit Ethernet switch & vetronics computer system capable of hosting optional VICTORY services software. This small form factor system weights 4 lbs and includes USB, CANbus, Serial, and other I/O. This module based on the imx6 is available with a set of standard configurations, but we offer the possibility to add any configuration requested and even a licensing model to get the design. This is a project based pro Development system available. Utilite is a fanless ARM Cortex-A9 computer delivering high performance and rich I/O in a tiny form-factor. Utilite is offered with fully featured, desktop-grade Ubuntu Linux or Android operating systems with PC-like user experience. Light weight and stylish tablet which is quipped with NXP i.MX6 Quad high performance processing and brilliant 9.7-inch IPS panel for ultra wide degree viewing angle. 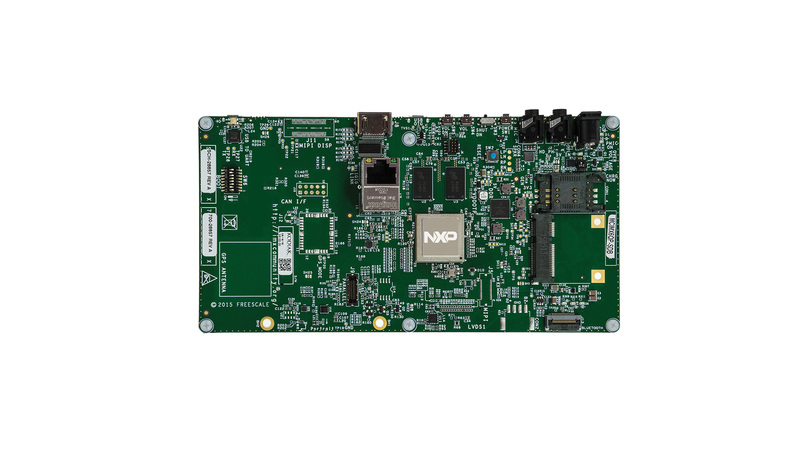 The miriac™ SBC6x Single Board Computers are members of NXPs i.MX-ARM based embedded system solutions. The platform combines a very small system design (close to a module only form factor) with a wide variety of I/O functions. The Nitrogen6_MAX is a turbo-charged version of our popular Nitrogen6X platform. Nitrogen6_MAX is a single board computer that features the same Quad-Core i.MX6 processor from NXP, but has significant upgrades to allow for high-end processing. The VAR-SOLOCustomBoard Single Board Computer (SBC) can serve both as a development platform and as an end product. in conjunction with the VAR-SOM-SOLO/DUAL and the VAR-SOM-MX6 System on Modules. Computer on Module PicoMODA9 has 1GB Flash, 4GB RAM, SD-Card, 1x Ethernet, Wifi, 2x USB Host, 1x USB Device, 1x CAN, 4x UART, 1x I2C, 1x SPI, Audio, Digital I/O, touch panel, digital camera, 18bit RGB, 18/24bit LVDS, DVI and extended temperature. Low-end Single Board Computer with NXP i.MX6 Processor, that exploits the potential of a 30-pin configurable expansion connector to fully meet the configuration flexibility needs. Ideal for applications in digital signage and infotainment. The Digital Beachhead (DBH) is a SWaP-optimized 16-port Vehicle Gigabit Ethernet Switch and Vetronics Computer. The DBH supports a wide range of network features as well as supporting VICTORY data bus and platform services. Single Board Computer armStoneA9 has 1GB Flash, 4GB RAM, 1x Gb Ethernet, 4x USB Host, 1x USB Device, 1x CAN, 3x UART, 1x I2C, 1x SPI, Audio, Digital I/O, touch panel, 1x PCIe, 1x SATA, 18bit RGB, 18/24bit LVDS, DVI and extended temperature. Computer on Module efusA9 has 1GB Flash + 32GB eMMC, 1GB RAM, 2x SD-Card, 1x Gb Ethernet, USB Host, USB Device, 2x CAN, 4x UART, 2x I2C, 2x SPI, Audio, touch panel, digital camera, PCIe, SATA, 18bit RGB, 2x 24bit LVDS, DVI and extended temperature. The MSC nanoRISC-MX6x module is based on the i.MX6 CPU. The i.MX6x processor is combined with DDR3 SDRAM, SLC NAND Flash, 10/100/1000 Mbit Ethernet LAN and a power management controller (PMIC). Available interfaces include PCIe, SATA, USB, UART etc. Evaluation platform or off-the-shelf industrial grade Single Board Computer (SBC) solution supporting the phyCORE-i.MX 6 SOM. QBlissA9 follows the Qseven standard. It has 32GB Flash, 4GB RAM, SD-Card, Wifi, 4x USB Host, 1x USB Device, 1x CAN, 1x UART, 2x I2C, 1x SPI, Audio, Touch, digital camera, 1x PCIe, 1x SATA, Bluetooth, 2x 18/24bit LVDS, DVI, and extended temperature. The design of the MSC Q7-IMX6 module is based on Our new i.MX6 CPU offering quad-core, dual-core and single-core ARM Cortex -A9 compute performance at very low power consumption and excellent graphics performance. Qseven module QBlissA9r2 has 1GB Flash+32GB eMMC, 4GB RAM, SD-Card, WLAN, Gb Ethernet, 4x USB Host/1x Device, CAN, UART, 2x I2C, SPI, Audio, Touch panel, MIPI-CSI camera, PCIe, SATA, BT, 2x 18/24bit LVDS, DVI and extended temperature. The Nitrogen6X-SOM, a low cost, highly integrated System-on-Module based on the i.MX6 Single/Dual/Quad-Core CPU. The SOM is ideal for customers looking for rapid product development while maintaining the flexibility of a custom design. Measuring only 20x50 mm, the DART-MX6 is the smallest System-on-Module (SoM) supporting NXP i.MX6 quad and dual core Cortex-A9™ processor. The DART-MX6 offers impressive performance and scalability, as well as low power and high performance. SideKick is based on Our i.MX6 and is a MXM compatible CPU module for fast multimedia focused applications. The i.MX6 module has on-board memory expandable to 4GB DDR3 RAM, 32GB eMMC flash and includes on-board micro SD slot and SPI flash. iWave's new i.MX6 Quad core CPU based SODIMM module integrates all standard interfaces into a single board with ultra compact yet highly integrated platform that can be utilized across multiple embedded PC, system and industrial designs. The phyCORE-i.MX6 SOM is the smallest industrial i.MX 6 design on the market. It is highly scalable supporting NXP i.MX 6Solo, Dual, or Quad processor variants and with configuration options for DDR3, eMMC, and SLC NAND. Embedding the i.MX6 QuadPlus/Quad/Dual/DualLite/Single core ARM CA9, the VAR-SOM-MX6 allows designers to use a single System on Module in a broad range of applications to achieve short time-to-market, reduce R&D development risk and overall cost. CM-FX6 is an i.MX6-based miniature computer-on-module board designed to serve as a building block in embedded applications. ConnectCore 6 is an i.MX6 SMT multi-chip module. Features include integrated Wi-Fi, Bluetooth, PMIC and Kinetis Microcontroller. 400 pin LGA for reliable connection and access to all i.MX6/Kinetis features. 5-year warranty and global support. EDIMM SOM based on NXP™ i.MX 6Dual or i.MX 6Quad processor. SolidRun SOM technology enables NXP's partners to reduce their TTM and lower their development risks while building their i.MX6 based products. This module has peak frequency up to 1GHz and RAM size of 2GB. Key benefits include industrial temperature support, long-term availability (until 2028), and a host of high-speed industrial interfaces. The open frame rear mount HMI is the easy to install budgetary solution to enable graphics and state of the art performance for your application. Available from 4.3 up to 10.4 inch. Micron's MCP product line offers a variety of devices, configurations, and package options, and we help you select the just-right combination of low power, high reliability, and overall robustness. Our turnkey single board computers are available in a rugged housing for DIN rail mounting as well. Take benefit from our experience and our highly scalable platform concept with uniform software distribution! The Type 1FX is a 2.4GHz IEEE 802.11b/g/n Wi-Fi module based on the Broadcom BCM43364 chipset. It integrates Wi-Fi IC, RF front end and crystal. The module dimensions are 6.95 x 5.15 x 1.1 mm. NXP's software for Apple CarPlay provides i.MX-based infotainment systems a simple and intuitive connection to Android mobile devices.